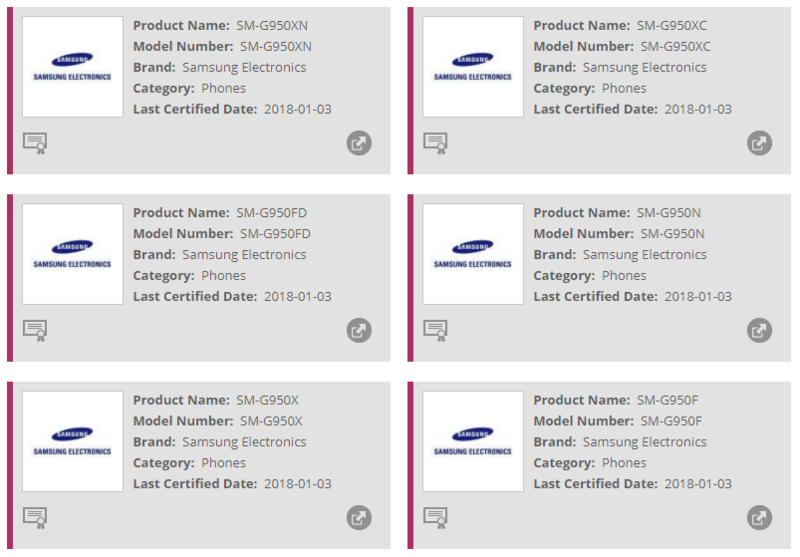 Update [January 05, 2018]: The unlocked Galaxy S8 and S8+ in the US, that are sold as model no. SM-G950U1 and SM-G955U1 have also cleared the Wi-Fi authority, as also the variant for Canada, SM-G950W/G955W. Also making the list are Chinese models, that end with either of 0, XU, and 8. Notably, the US carrier variants that end with ‘U’ have been cleared again, even though they were certified in December already. Over the past few weeks, Samsung has been running tests of Android Oreo on the Galaxy S8 and the bigger Galaxy S8+. In fact, it’s only last week that the final Oreo beta build was made available for those in the Galaxy Beta program. In itself, this was an indicator that it shouldn’t be long before the stable version started rolling out over the air. And indeed, this is the case. 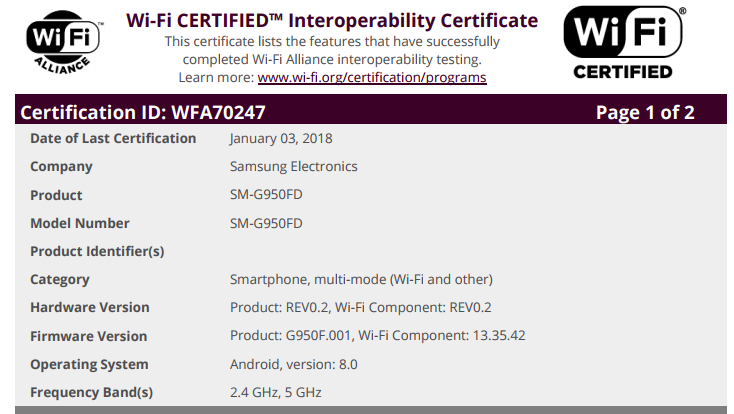 The US variants of the Galaxy S8 had already been cleared by Wi-Fi Alliance for Oreo back in December, but today, more variants join the list. If history is anything to go by, this means the non-beta OTA update to Oreo should be ready for download in the coming weeks. Unlike Samsung Galaxy S7 and S7 Edge that started getting Nougat updates in mid-January 2017, it seems the company might not be able to repeat this feat with the S8 and Oreo. In fact, a Samsung rep had already hinted at this possible delay, saying that the stable Oreo OTA should be ready by “end of January or maybe early February.” Even though the Wi-Fi Alliance listing doesn’t give us anything specific to release dates, as noted, it does confirm that it won’t be long before the OS is outed. Usually, Samsung rolls out updates in stages, depending on markets. Despite the fact that the WFA has cleared multiple variants of the Galaxy S8 and S8+, it’s unlikely that Oreo will be rolled out to all of these devices at the same time. 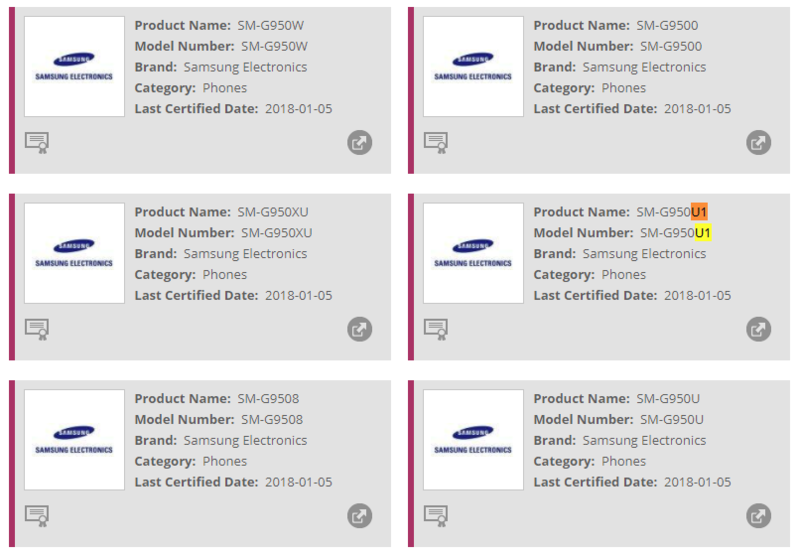 The Galaxy S8 variants cleared include model numbers SM-G950F (Europe), SM-G950FD (Asia – India, Singapore), SM-G950X/XN/XC (Global) and SM-G950N (Korea) while the S8+ has been cleared with model numbers SM-G955F (Europe), SM-G955FD (Asia – India, Singapore), SM-G955X/XN (Global) and SM-G955N (Korea). Hillary :Each one Reach one Teach one. Football Droid.